“I travel without barely any luggage. Just a second set of underwear and binoculars, a map and a toothbrush.” – Werner Herzog. Werner Herzog, German director and producer whose documentaries and film carry his famous trademark subjects of wildlife and extended landscape shots is quoted to have said the above. While I am the complete polar opposite of Mr. Herzog ,(if I am to give a similar quote , it will be a 2-page essay to just enumerate what I pack in my luggage), I did however, had a common object that I took with me recently when I travelled. 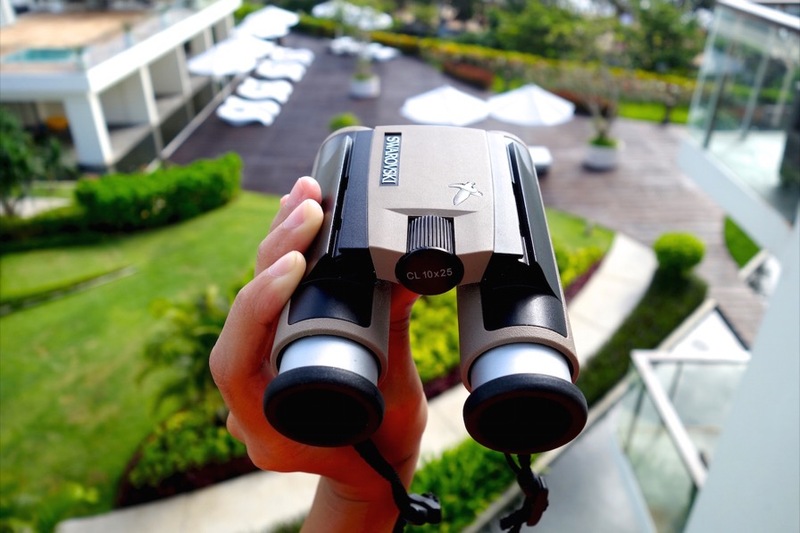 I took these pair of Swarovski Optik CL Pocket Binoculars to trial during my trip to Indonesia. I think I heard a collective gasp there. Why yes, the very same company that makes stunning crystal jewellery, is also a forefront brand in the nature, travel and hunting world due to its pioneer craft in binocular technology. Swarovski Optik was created by Wilhelm Swarovski, son of the founder of the family-run business Swarovski. In 1935, at the age of 47, Wilhelm declared that he wanted to be “closer to the stars”. The combined factors of Wilhelm’s keen interest in astronomy and access to the specialised glass production led to its success. Swarovski Optik’s first serial product, the Habicht 7×42, is still an industry standard in the field of hunting optics and continues to be produced by Swarovski Optik. 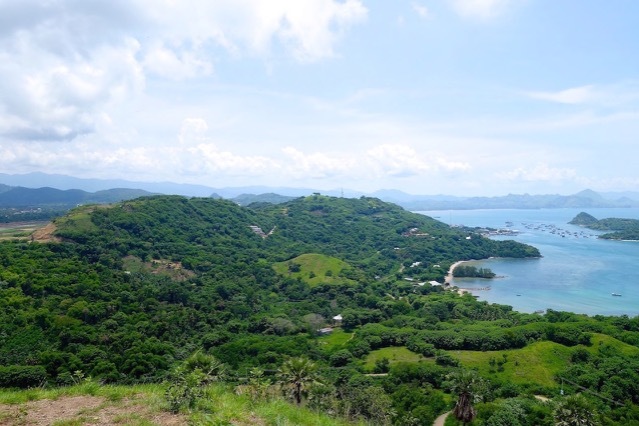 I went to Labuan Bajo to explore the Komodo Islands. 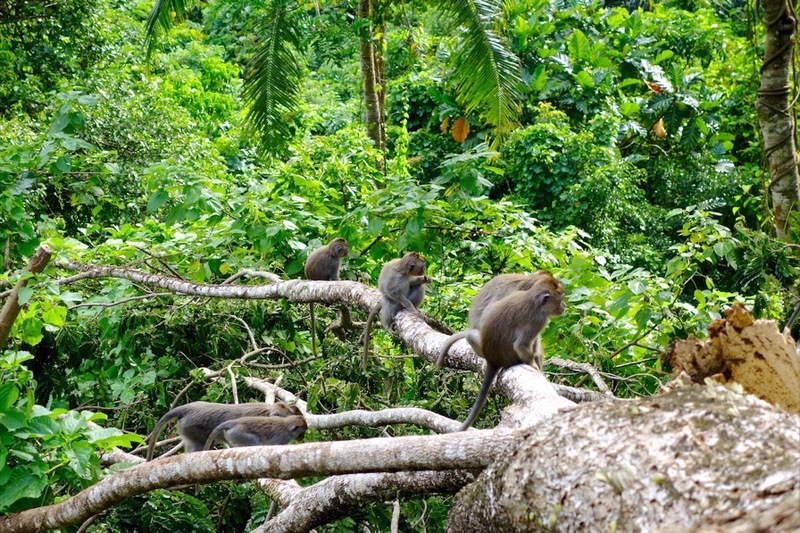 It is still a relatively unexplored area of Indonesia and as you can imagine, the islands are thick with jungle and lush forestry. There are only very few places on Earth that are still quite raw and untouched and I wanted to get the opportunity to explore in every way possible. The invention of the binoculars by Galileo Galilei himself was due to the yearning to be able to see into the distance, and this is what I wanted to achieve as well. That’s what our guide answered on our first day in Labuan Bajo when I asked him what our agenda will be. 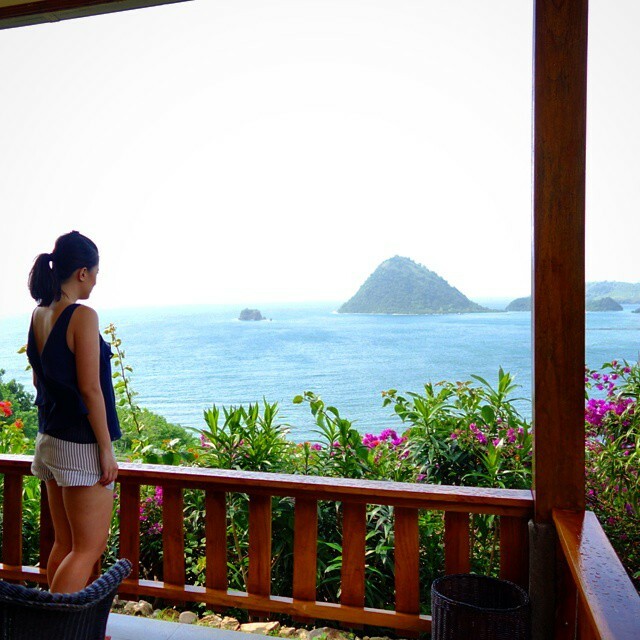 Our hotel was on a hill overlooking the islands of Flores. And from afar, the weather looked alright and the waters seemed calm so I was wondering why he mentioned earlier that some boats had to reschedule their trips. That afternoon, I used the Swarovski Optik binoculars and saw for myself in detail, how the other boats headed to “there, there and over there” were faring. The waters were indeed quite choppy and some of the smaller boats looked like toy ducks being swooshed here and there by a toddler making big splashes in a tub. The next day , onward we went. It was not a boring boat ride, let me tell you. 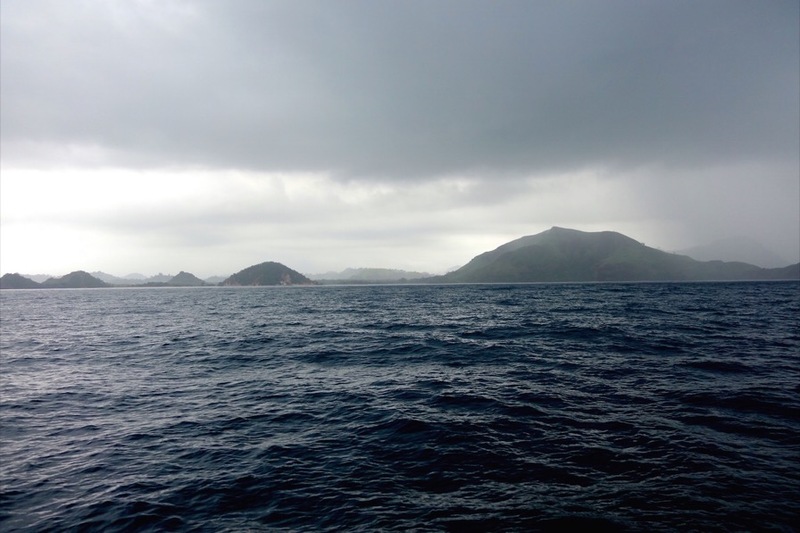 I got seasick a little bit but all queasiness disappeared when we landed in Komodo National Park. 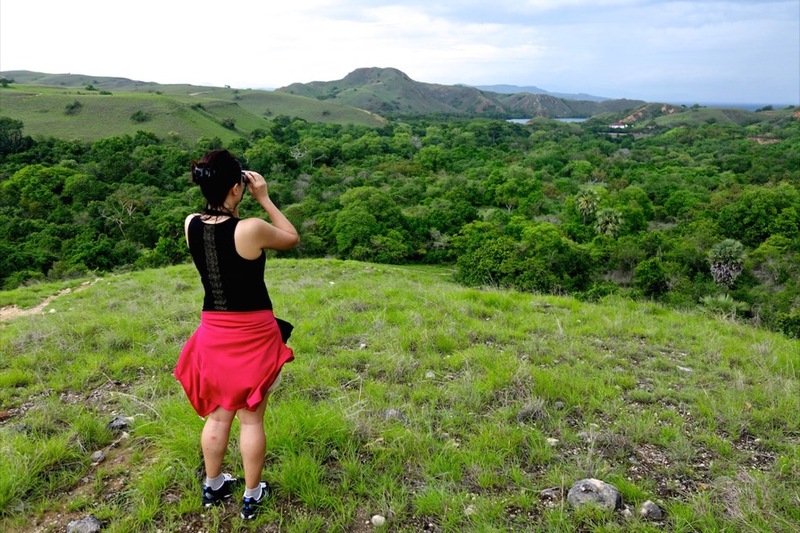 It was really great to use the binoculars at this point because from afar, all that greenery looks like a bunch of broccoli from where I’m standing (with the naked eye). Not to mention that the hike made me hungry hence I can only think of food when seeing the green! Using the binoculars made me see in detail what lies behind those thick bushes (more thick bushes). More importantly, I was able to fathom how far we’ve really trekked. There is unfortunately no way for me to present the extremely clear and sharp images I was able to see with the Swarovski CL Binoculars. But allow me to say that it’s really crystal clear and I found myself looking foolish, reaching out with my other free arm as I felt I was that close to objects hundreds (perhaps even thousands!) of metres away. Now I also saw things in the island that didn’t need the use of binoculars. These mighty dragons! 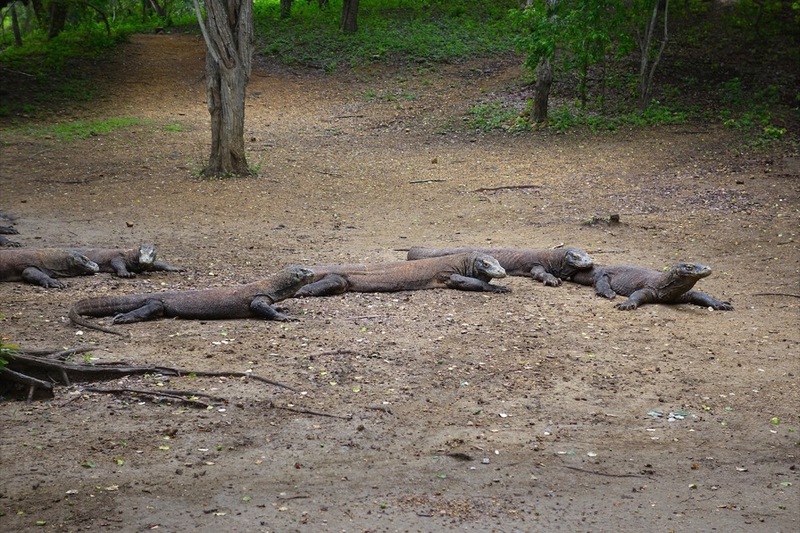 Komodo Dragons in Flores, Indonesia. 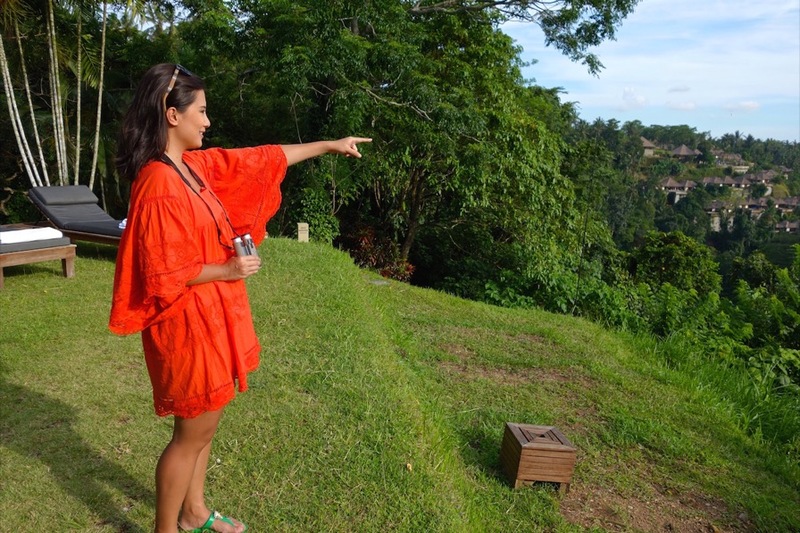 Through rocky boat rides, domestic flights and transfers between Ubud and Bali, the binoculars travelled with me. They were really made for travelling as it’s very lightweight and compact. My previous point and shoot camera is even bigger in size. As I mentioned in the video, these binoculars will be really of great use especially on adventure trips (I’ve one coming up in a couple of weeks!). As we all know, I’m not a light packer at all and this is why I really liked having the CL Pocket binoculars around – at just 345 grams, this lightweight and foldable binos are perfect for travelling. They are also user-friendly for a non-techy person like me. Very simple to use, no complicated instructions or adjustments. Eyeglass wearers like Zombie also enjoyed using it due to its individual adjustable twist-up eyecups. What really impressed me was the clarity of view. Other binoculars I’ve used previously start to get hazy (and shaky!) when viewing long distances. With Swarovski CL Pocket, it was like watching a seamless Blu-Ray movie right in your hands. At the current retail price of USD 910.00 / GBP 550.00 (roughly over AUD 1,000) this gadget is a definite investment. It isn’t cheap but we spend almost the same amount for smartphones and more for home entertainment system. I consider this live entertainment. It’s always better to see something once (or twice) with your own eyes, than view footage a hundred times that was caught from another person’s eyes (movies, tv). but all opinions, views, and footage are my own. How are you… I can see you are on the move again and in a country we will be visiting.. We have had to delay our travel plans for 7 months due to Business activities.. We are booked For Ubud Indonesia and can’t wait to visit.. I remember I still got a 10×50 binoculars that I have travelled with since 1991. They are superior quality optics but I could do with a smaller feminine pair for Laura.. Maybe a birthday gift for her later in the year.. Thanks for sharing your Awesome Vlog. Hi Tony & Laura! I was wondering about you two whether you had already travelled as I remember it was going to be around this time. Don’t worry it gives you more time to plan and prepare 🙂 You will LOVE Ubud! It’s filled with healthy eating joints and it’s just so tranquil and peaceful! Oh good idea to carry binoculars when travelling. They could easily be stowed in my camera bag. I’ve always loved it when tours and guides provide binoculars but should really provide my own all the time. Look forward to hearing more on Indonesia. Hehe as someone that is half blind I think I should carry with me all the time! Imagine how much I am missing! Jean how about those dragons? Awesome images here! 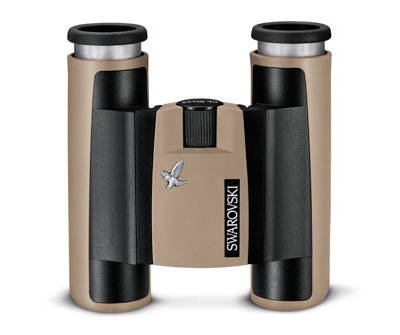 I could use these binocs because I enjoy getting a close, up front and personal view of wildlife. Sometimes I miss what I should spot because I’m doing the naked eye thing instead of using binoculars. Hi Ryan! Thanks for visiting! Yes it really does help to have binoculars because we can’t always get up close and personal with wildlife!